Anyway, I whittled down the ambitious list of cookies, candies, and cupcakes to just the adorable chocolate mice recipe I found online. We all knew I wasn't going to make all that stuff in one day anyway. The Guild Wars Halloween event going on that I need to participate in! I couldn't find any cookie crumbs or chocolate wafer cookies, so I bought a bag of chocolate oreos and destroyed it. I mixed up some baking chocolate, sour cream, cookie crumbs and let cool a bit in the fridge. 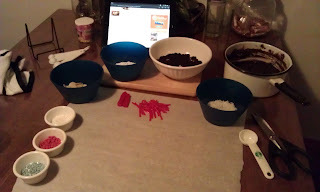 While the chocolate was cooling set up the mouse creation station. 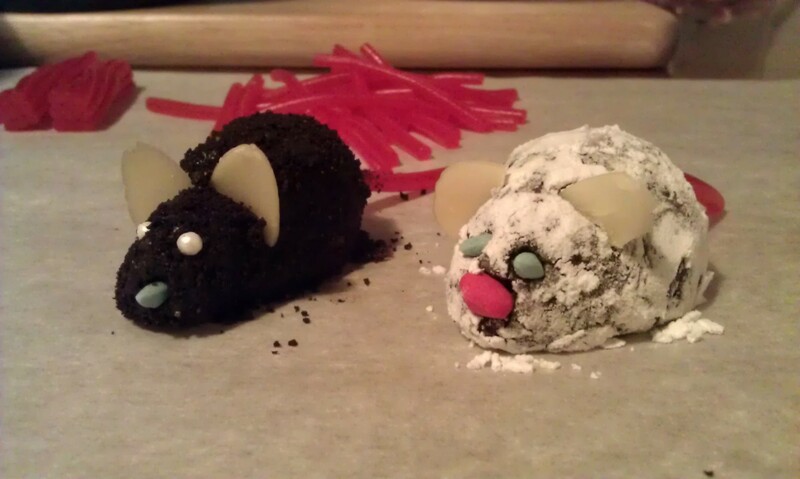 Sprinkles, licorice, powdered sugar, hell I even though I'd try to make some coconut-covered mice (side note: that did not work out well). 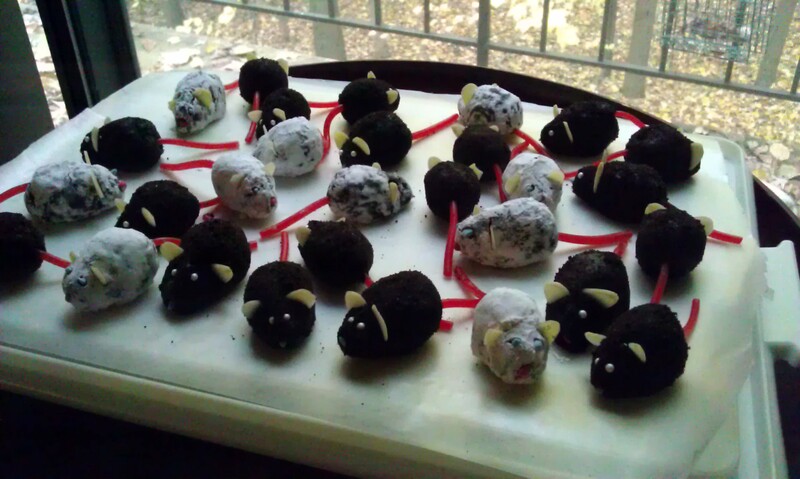 Once I had everything out I set to creating some little chocolate mice. 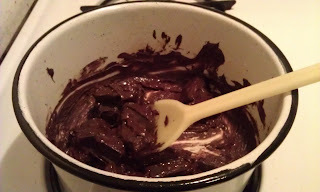 They're about a tablespoon, rolled in chocolate cookie crumbs or powdered sugar, with almonds for ears. They're very rich and very adorable. I'd doubled the batch so I ended up with quite a few, as you can see. I hope Chris's co-workers like them! I also made some lasagna in the crockpot (which turned out better than expected) and some baked zucchini chips (similar to fried zucchini but healthier). So this Sunday ended up being another baking heavy day. Chris is convinced that I will benefit from a freezer chest. I can't wait till we have a house and I can store all kinds of stuff in it! 950/365 - Birthday for the Mans! 945/365 - How Much Of This Stuff Do I Have? 932/365 - Happy Birthday Dad! 930/365 - Are You Sure It's Not Monday? 928/365 - Ribbon Is Fun!